Backed by many years of research, we can confidently say that our Bespoke printed Gazebos are the best quality and value available! 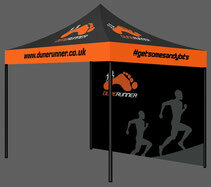 These custom printed gazebos are a 'buy right - buy once' item that will last many years! 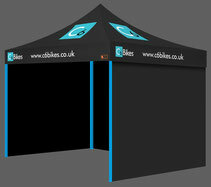 All our Custom Printed Gazebos come complete with a high quality Wheeled storage bag, basic strap & peg kit.